When calling to make an appointment – Please advise that you are a tenant of St Botolph building to receive a 50% discount off your first exam, then 10% off all treatments thereafter, please note that this excludes x-rays. Remember to show your blue loyalty card to claim your discount. 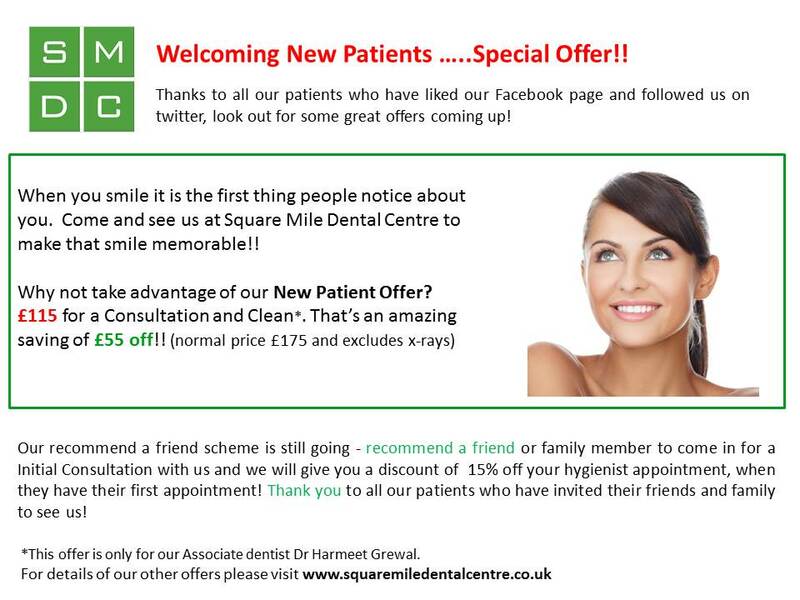 Dr Sanjay Sethi and the team of experienced dentists can cater for your every need including specialist requirements. Click here to view their promotional offer. 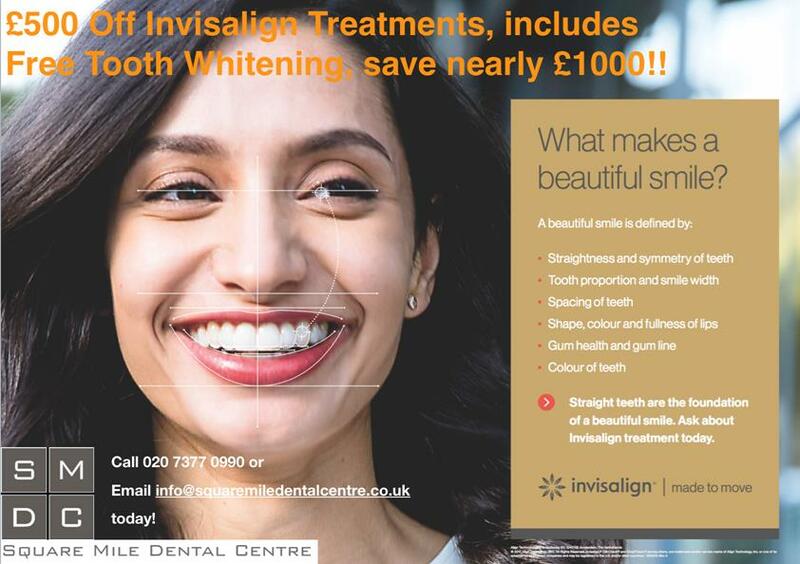 To view the latest discounted offer for invisalign click on the link. View the flyer to see the Easter promotions for teeth whitening. 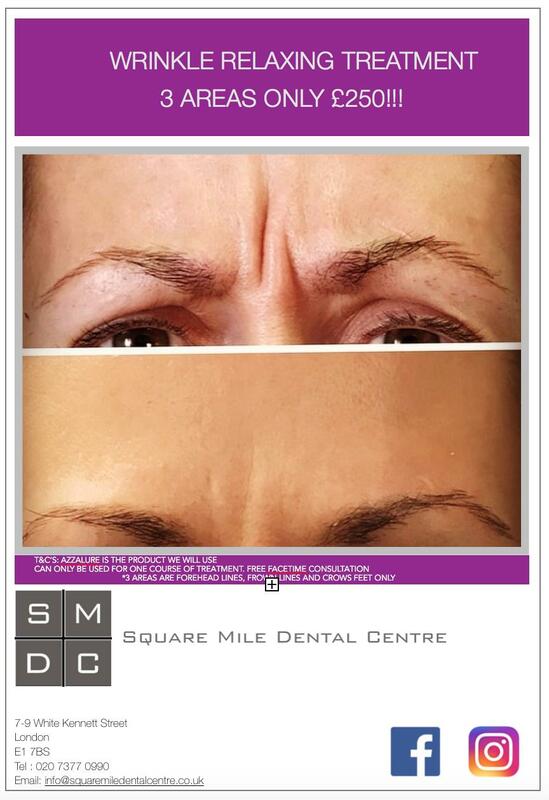 Treat yourself to a wrinkle relaxing treatment offer in time for spring.